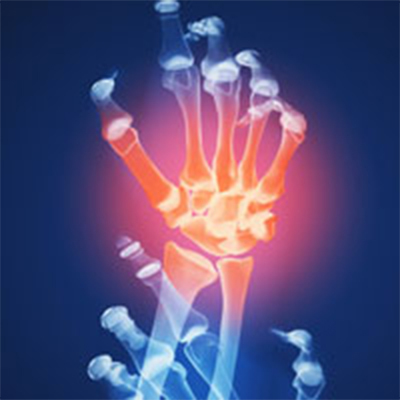 Carpal Tunnel Syndrome (CTS) can arise as a result of a number of different causes and as such, treatment is guided by the specific needs of the individual and tailored to each individual case. With that said, there are specific treatment strategies that chiropractors provide that address three primary goals: 1) Physical management strategies; 2) Chemical management strategies; and 3) Self-management strategies. All three goals include a component that we, the doctor, control AND a component that you, the patient, can control or manage. This combined effort or “team approach” ALWAYS works best, especially over the long-term. So, let’s break these three management strategies down along with the two components: my job (as your chiropractor) and your job (as my patient)! 1) Physical management strategies: This category addresses the mechanical nature of CTS. That is, compression of the median nerve at ALL of the possible sites, not JUST the wrist/carpal tunnel area. Since the median nerve arises initially from the neck or cervical spine, nerve root compression of C6-T1 (and a little of C5) can give rise to CTS signs and symptoms. As discussed last month, this area can be one of the “great imposters” of CTS and/or it may contribute as a co-conspirator and combine with CTS, which magnifies or increases the CTS signs and symptoms, the so-called “double-crush syndrome.” Other “mechanical” sites of compression can be reviewed in last month’s Health Update, but in brief, these may include the thoracic outlet (shoulder area), Struther’s ligament (just above the elbow), the pronator tunnel (just below the elbow), the anterior interosseous membrane (forearm), as well as at the carpal tunnel itself. MY JOB (as your chiropractor) is to reduce the pressure on the nerve at any and/or ALL these locations (remember, each case is unique). This can be done by using manual therapies including (but not limited to) manipulation of joints in the neck, shoulder, arm, elbow, forearm, wrist, hand, and fingers. Mobilization of muscles and other soft tissues may include active release techniques, friction massage, trigger point therapy, stretching with and without resistance, traction, and more. Various modalities might be used to reduce muscle tightness, swelling, or inflammation. A nighttime wrist splint keeps the wrist in a neutral position, as the carpal tunnel’s pressure goes up A LOT when the wrist is bent. Since you cannot control the position of your wrist while you sleep, the brace can REALLY HELP! A BIG part of my job includes teaching YOU about CTS so that you understand the underlying causes, thus allowing you to identify jobs, hobbies, or situations where you may be inadvertently harming yourself. If you can, PROMPTLY identify offending wrist positions and STOP the repetitive injurious movement and then MODIFY your approach to the task, whether it means taking “mini-breaks,” changing the work station set up, or some other approach. Along with this “teaching concept” is exercise training. It is also VERY IMPORTANT for you to properly perform the carpal tunnel stretches and other exercises (see Part 2 next month) on a regimented/regular basis. YOUR JOB includes wearing the brace (don’t forget or procrastinate), most importantly at night. You can wear it during the day while driving or doing something where you are not “fighting” the brace. In some cases, the brace can bruise you if you are moving your wrist against it repetitively or too hard, and it can actually do more harm than good in those situations. Your job is also to identify ways to do your job and/or hobbies with less torque or twisting of your wrist. Next month’s discussion will start chemical strategies (#2 on the list above), which includes several very effective and safe approaches in the CTS management process. We will then address #3, “Self-management strategies,” which will include various CTS-specific exercises.